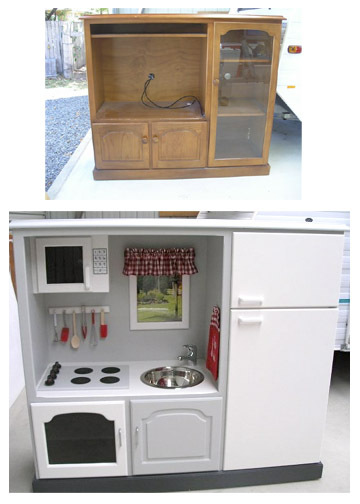 Apparently DIY play kitchens have been all the rage for the past few years. 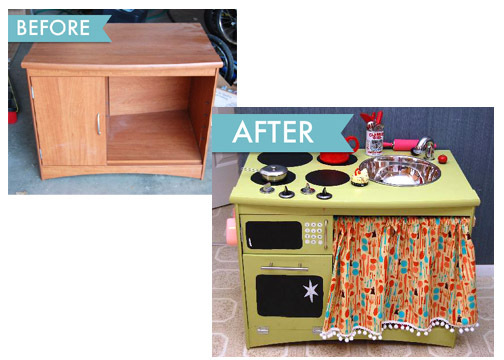 I just discovered them recently, and I am mesmorized by the transformations of an old junky nightstand into something so adorable and one-0f-a-kind. 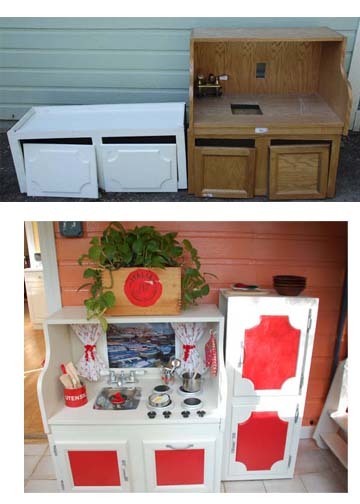 Seriously, google “DIY play kitchen” and enjoy all the photos. There is some serious creativity and cuteness out there to see. It would be so much fun to put one of these together. Here are some of my faves. This entry was posted on November 19, 2010 at 5:59 am and is filed under Uncategorized. You can subscribe via RSS 2.0 feed to this post's comments. You can comment below, or link to this permanent URL from your own site. Oh my god, that’s the most awesome thing! Thank you so much, your pictures are so inspiring! These are FANTASTIC!!! I love them! WOW! These are fantastic and so inspiring! I know what I’m making for Christmas! These are all so wonderful and inventive. I can’t wait to make one for my girlies…may I ask , how much did it cost to make these? fantastic, im definatly going to try this! 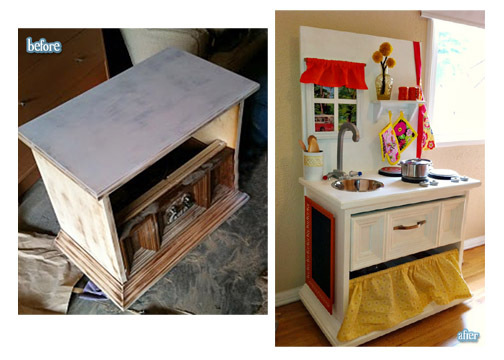 It just gave me a great idea to make my granddaughters doll houses. Gosh, didn’t know people actually put in so much effort to make all these things for the kids. Where do parents get so much time from?! Haha. Loved the transformations. stumbleupon every day. It’s always exciting to read articles from other writers and use a little something from their web sites. Love the creative ideas… Post more please!